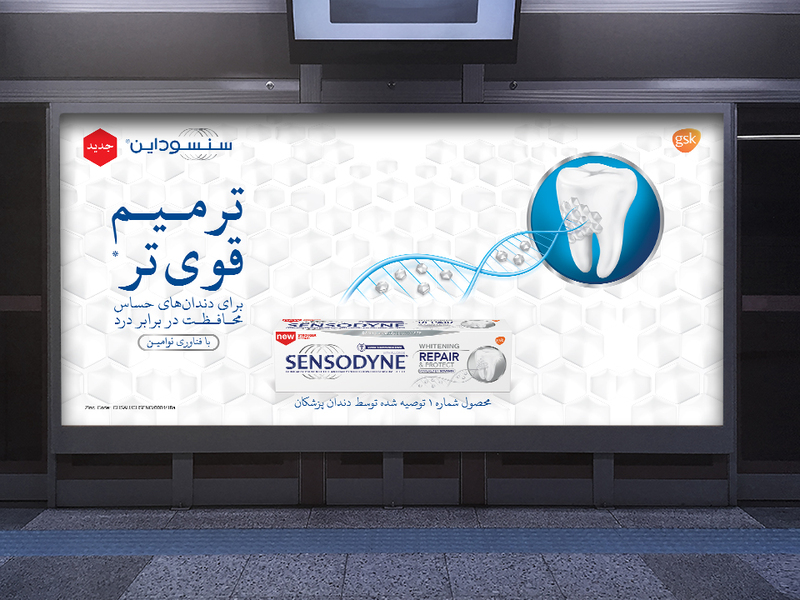 Sensodyne’s products are available in the market as the only toothpaste whose daily intake reduces dental sensitivity. 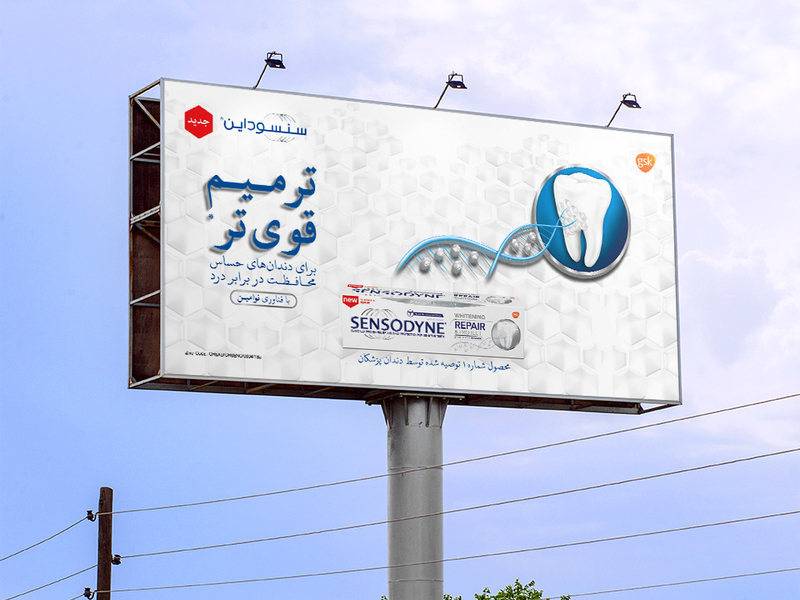 The Association of Dentists approves the brand’s attribute. 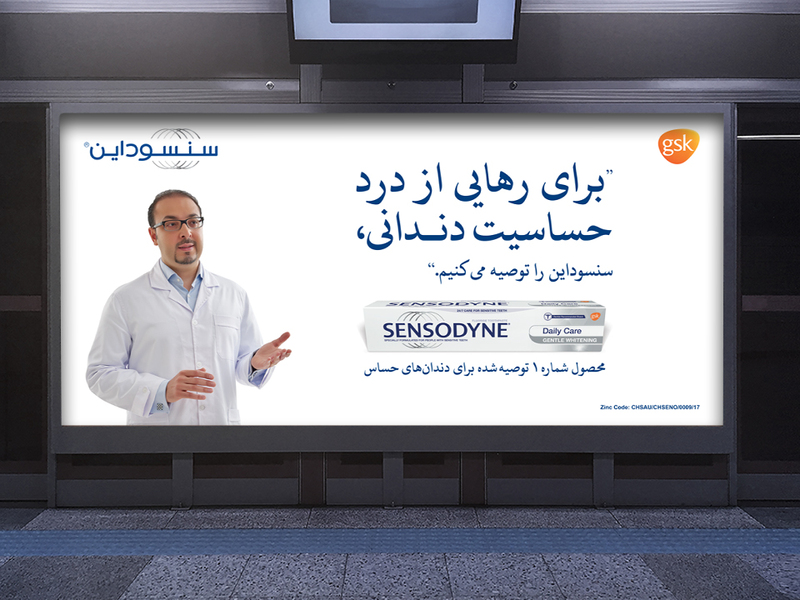 In the first phase, we were trying to raise awareness of the target group about the feature of this product relying on validity of dentists and with a slogan “To relieve the dental sensitivity, we recommend the use of Sensodyne toothpaste”. 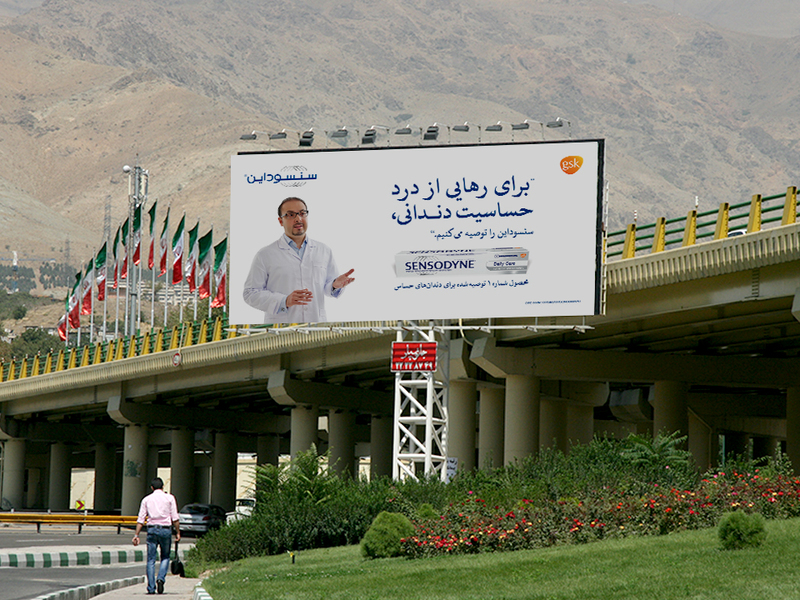 In this phase, we have used highway billboards for positioning, local boards for reminding, metro boards, related magazines and video boosting in Aparat. 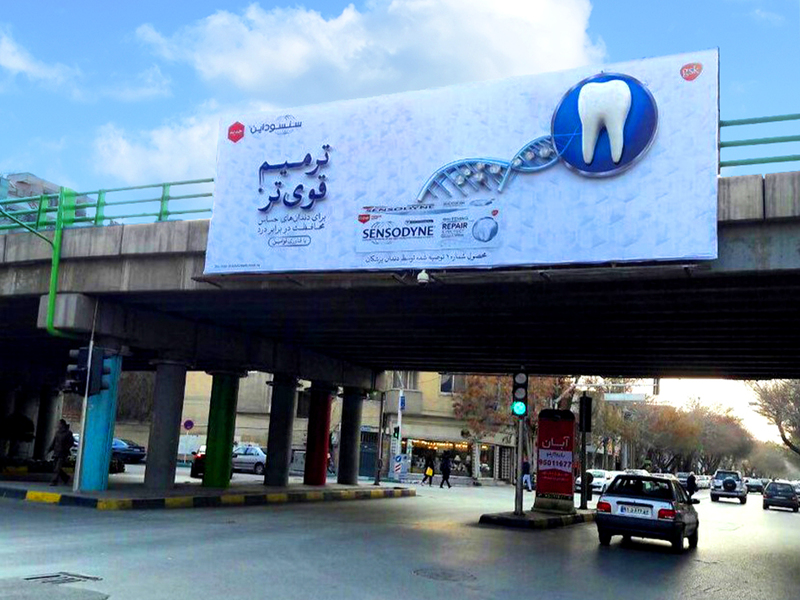 In addition, we consider OOH in strategic location of 5 main cities in Iran. 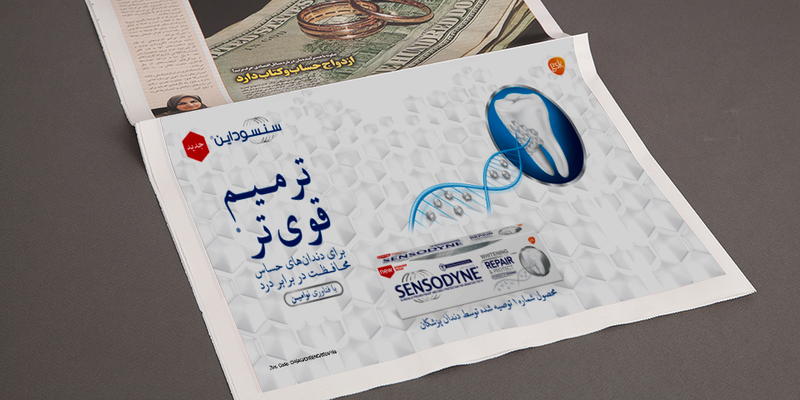 In the second phase, that happened at the same time with the new product’s launch (repair and protect), we tried to show the effect of this product on the repair of sensitive teeth with creative and effective artworks and slogan “Stronger repair for sensitive teeth”. 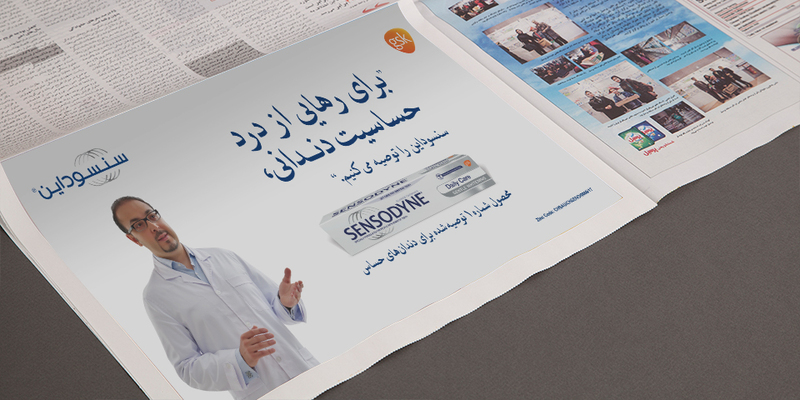 In this phase, we have used OOH, Print, Metro, related magazines, video boosting on telegram channels. 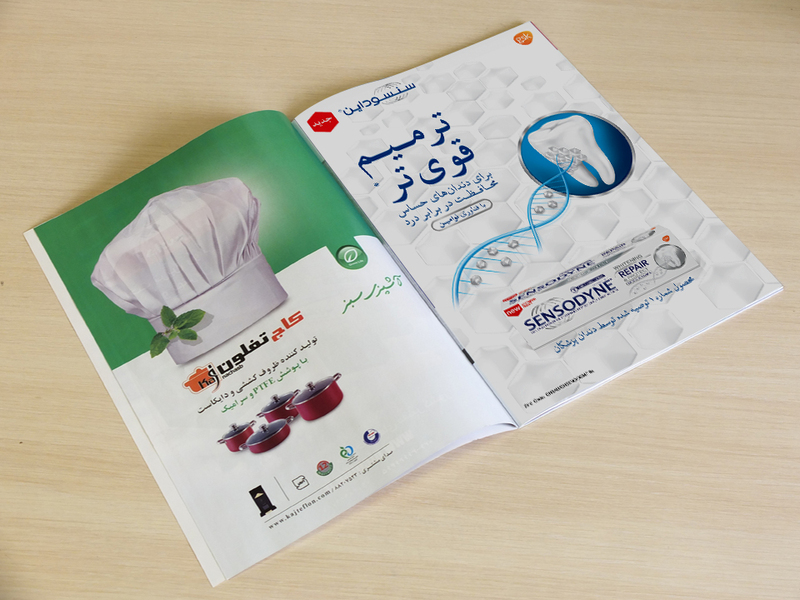 Also, we put the sample of the product in the basket of digikala customers to communicate with the audience and make the product’s feature more tangible. 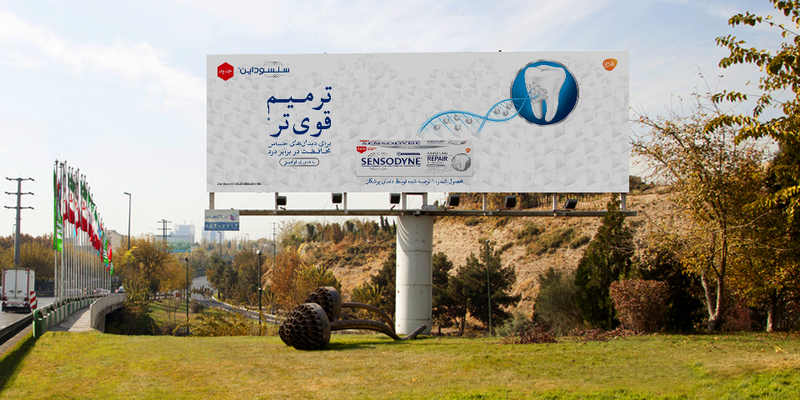 Also, we have launched the Sensodyne Instagram page with the purpose of creating more engagement with the TGs.